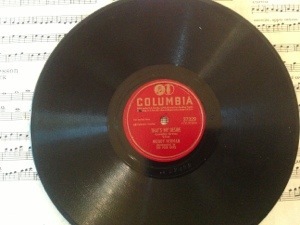 This past weekend I made two unusual finds at one of my favorite resale shops; a music book for a flute for twenty five cents and four 78 records for fifty cents each. What to do with these items? I looked at them for a while then decided they need to go together. 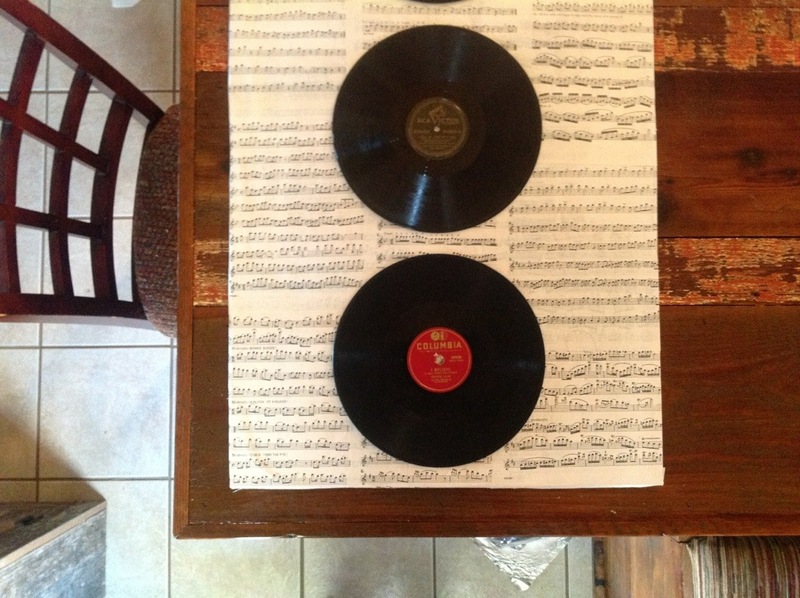 I decided to use the music book to cover a board that the albums will be screwed to with a large screw in the center of each record. 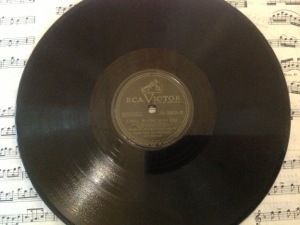 I am saving the dust covers and I am doing no damage to the records. 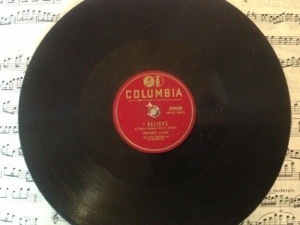 I am not sure if the records are worth anything, but I will bet they are worth more than fifty cents! 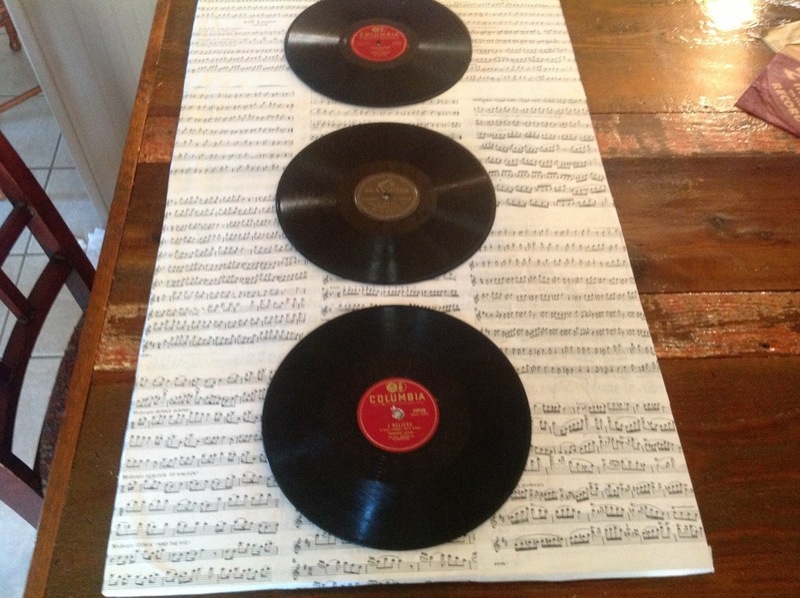 I Mod Podged the sheet music to a scrap board and allowed it to dry. I am absolutely the worst at getting all the wrinkles out, but I keep trying. Then I spaced the albums out on the board and hubby screwed them down. They are going up in the game room where we have some album covers framed. This will be a perfect addition to the room. I love the results. Not too bad for $1.75 art! Pictures of the upstairs game coming room soon. That is AWESOME! Bren loves this! He collects vinyl albums, old records for his mancave/music room.